Bruce Hornsby’s Hot House was his 1995 release. It made number 68 in the charts and produced two singles: Walk in the Sun and Cruise Control. The live environment was really reproduced in the studio alongside Chaka Khan, Pat Metheny, Levi Little, David Hollister, and with his last recorded material, Jerry Garcia. Bruce Hornsby's Hot House was his 1995 release. It made number 68 in the charts and produced two singles: Walk in the Sun and Cruise Control. The live environment was really reproduced in the studio alongside Chaka Khan, Pat Metheny, Levi Little, David Hollister, and with his last recorded material, Jerry Garcia. We asked for your take, twenty years on, and this is what you had to say: A reminder of the songs, first of all: Music player [crazyplayer id="48667" theme="#3f7b99" bgcolor="#222222" style="style1" autoplay="false" showlrc="false"] And your ratings: [taq_review] Bruce Hornsby's Hot House wiki page That makes Hot House the highest scoring record to date for production values, scoring 88%. Hot House is unique in that all but (maybe) one or two of its songs are still in rotation at the concerts here in 2015, and the other two in question (Longest Night and Swing Street) still get an occasional airing. The two highest-ranked tracks open the record, and both (Spider Fingers and the favourite White-Wheeled Limousine) are regulars. Thanks to all who voted! Reviews: The Music Box: Bruce Hornsby's latest release Hot House, while extremely enjoyable, is a virtual remake of Harbor Lights. Throughout the endeavor, he delivers a similar brew of jazz-pop grooves, and as a result, it sounds just a tad formulaic. On his last outing, he tucked bits of the Grateful Dead's Dark Star into the intro to Talk of the Town; this time, he borrows heavily from Estimated Prophet, calling his version The Tango King. Nevertheless, Hornsby's amazing dexterity is on display as he leads Béla Fleck, Pat Metheny, and Jerry Garcia through some funky grooves. White-Wheeled Limousine is given more of a Flecktones-style treatment, and it stands in stark contrast to the stripped down version recorded with Rob Wasserman for Trios. 3.5/5 Bob Gajarsky: Bruce Hornsby has come a long way since being a backing pianist for Sheena Easton's touring band in 1983. One Hornsby fan, upon hearing this record, said that it was like his last release, Harbor Lights, but taken to the next level - where the musicians sound like they're having fun, jamming and improvising as they go. I couldn't agree more. Expect the critics to rave about Hot House - and deservedly so. The first appearances from long-time Noisemakers J.V. Collier and Bobby Read scores highly! That makes Hot House the highest scoring record to date for production values, scoring 88%. Hot House is unique in that all but (maybe) one or two of its songs are still in rotation at the concerts here in 2015, and the other two in question (Longest Night and Swing Street) still get an occasional airing. The two highest-ranked tracks open the record, and both (Spider Fingers and the favourite White-Wheeled Limousine) are regulars. Thanks to all who voted! Bob Gajarsky: Bruce Hornsby has come a long way since being a backing pianist for Sheena Easton’s touring band in 1983. 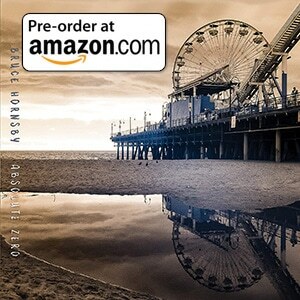 One Hornsby fan, upon hearing this record, said that it was like his last release, Harbor Lights , but taken to the next level – where the musicians sound like they’re having fun, jamming and improvising as they go. I couldn’t agree more. Expect the critics to rave about Hot House – and deservedly so. There’s a lost soul coming down the road, somewhere between two worlds, with an oar in his hands and a song on your lips, he’ll row the boat to the far shore, row the boat of the loved lost soul.